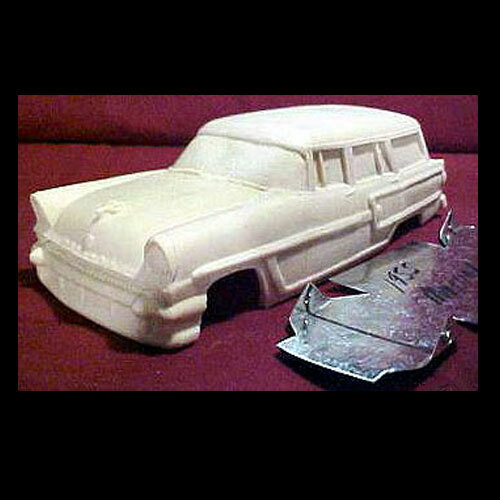 1955 Mercury Station Wagon by TKM Models. Includes one piece body and metal chassis. This resin model / body may require a Mercury model kit for donor parts to detail. Photos and Information from: Scale Wagons.